Refreshments: 3:40pm, in the Physics Atrium. Abstract: There is broad recognition within the scientific community that the emerging data deluge will fundamentally alter disciplines in areas throughout academic research. A wide variety of scientists— biologists, chemists, physicists, astronomers, engineers – will require tools, technologies, and platforms that seamlessly integrate into standard scientific methodologies and processes. 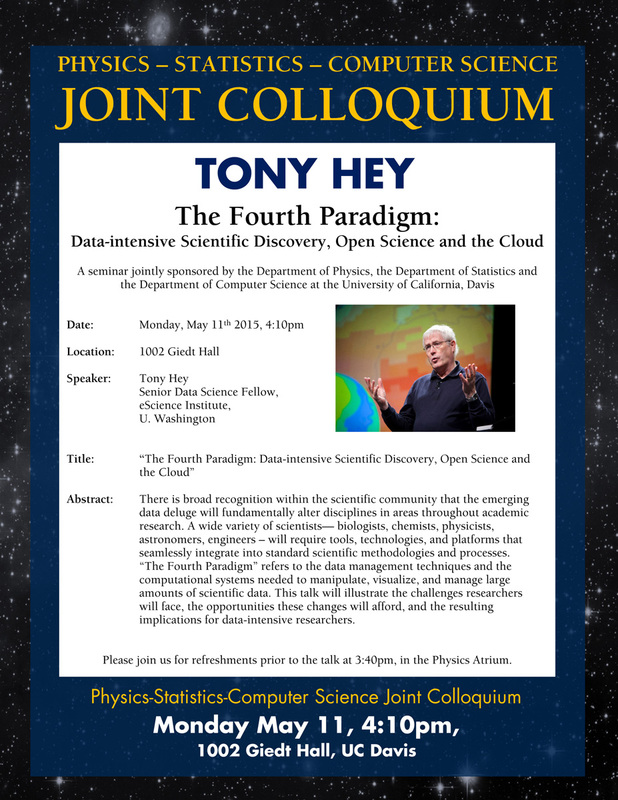 “The Fourth Paradigm” refers to the data management techniques and the computational systems needed to manipulate, visualize, and manage large amounts of scientific data. This talk will illustrate the challenges researchers will face, the opportunities these changes will afford, and the resulting implications for data-intensive researchers.